Research focused on the regulation of the adult stem cells that line the gastrointestinal tract of Drosophila suggests new models for the study of Barrett's esophagus. Barrett's esophagus, a risk factor for esophageal cancer, is a condition in which the cells of the lower esophagus transform into stomach-like cells. In most cases this transformation has been thought to occur directly from chronic acid indigestion when stomach contents flow back up into the esophagus. Researchers at the Buck Institute manipulated a signaling pathway (BMP-like Dpp) implicated in the development of Barrett's esophagus. 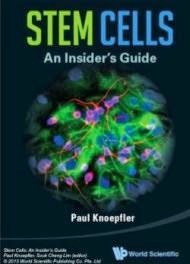 After manipulation, the adult stem cells that normally generate the lining of the esophagus of fruit flies morphed into the type of stem cells that generate stomach cells. 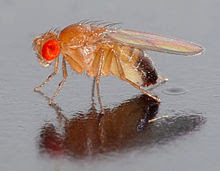 "Up until this point, it's not been clear what this signaling pathway does in stem cells of the gastrointestinal tract, or how it influences the regeneration of various types of epithelial cells in the gut of the fly. Barrett's esophagus may not be simply a mechanical response to the overabundance of gastric acid. Antacids may not be the best means of treating a condition whose development appears to be more complex. This gives us avenues to look for targets for new therapies " said Heinrich Jasper, PhD, a professor at the Buck Institute for Research on Aging and senior author of the study. Between five and ten percent of people with gastroesophageal reflux disease (GERD) develop Barrett's esophagus, usually after the age of 55. Among that population the risk of developing an esophageal adenocarcinoma is about 0.5 percent per year. Typically before the cancer develops, precancerous cells appear in the Barrett's tissue. Barrett's esophagus may be present for many years before cancer develops. Periodic upper GI endoscopy is often used to monitor those with the condition to watch for signs of cancer development. The Jasper lab is developing the fruit fly, which shares many genetic pathways with humans, as a model to study gastrointestinal disease. Jasper says his lab is now looking at the impact BMP-like Dpp signaling has on the muscles and sphincters of the gastrointestinal system.